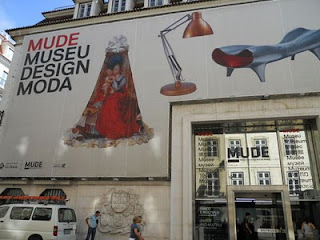 I was in Lisbon last week and went to the new Design Museum. It is located in the center of Lisbon on Rua Augusta and Placa Comercio. It has designs from different eras of clothing to furniture and everything in between. It was well displayed and had lots of examples. We were not allowed to photo so I just have the picture of the front of the building.